When I wrote about last week’s episode, I mentioned that a lot of things about Cat and Vincent’s future are quite uncertain at the moment. Something’s Gotta Give gave us a glimpse into a possible future and this week, It’s a Wonderful Beast gave us a look into how the past could have given us a very different present. It is no secret that a large part of Vincent’s struggle has always been his worry about the impact his “beastness” has brought upon his friends and loved ones. His guilt is very much part of the story and this week, it quite literally manifested itself. Much like in “It’s a Wonderful Life”, the classic movie from which the episode got its title, Vincent thought himself such a burden to the woman he loves that he wished he had never become part of Cat’s life. On the edge of death, in a feverish delirium and no longer in control of beasting out, Vincent got a glimpse of what such a world could actually look like. Vincent is still hurting badly from the gunshot wound he suffered in last week’s episode and when an intruder almost gets the better of them, narrowly emptying a gun into a pile of blankets instead, it becomes clear just how wounded Vincent is. Not only is he in pain physically, he has had enough in every way. He can no longer see how him being around Cat can be a good thing; all he has brought is fear and death. A faked group text lures the team (sans Heather, who is safely off-screen somewhere) to the coffee shop, where Tess and JT show up, unaware that it is a trap. Apparently we have two bad guys now, one who wants to capture a beast, presumably to use as some kind of weapon, and one who wants Vincent and all his friends dead. The latter is shooting at the gang, trapped in the restaurant, with Vincent bleeding and septic and unable to fight back. As the situation gets more desperate, Vincent starts losing control, fading in and out of full beast-mode and unconsciousness. As he drifts off, to the sound of Cat’s voice pleading him to stay with her, we enter an alternate reality of sorts. In this world Catherine doesn’t know Vincent. In fact she is married to Evan Marks (Max Brown): cross species researcher, coroner, Muirfield collaborator and Cat’s love interest from season one. Tess is Cat’s partner and since she has never met JT, she is still in that relationship with her married boss, Joe. JT and Vincent are hiding underground and running from Muirfield, fruitlessly working on a cure for Vincent’s out of control beast nature. It is quite amazing to see what the reality could have been, had none of the developments of the past three seasons actually happened. This whole fourth season has been chock full of throwbacks to season one, and this episode brings that theme home in a most meta way, giving a whole new meaning to the concept of destiny. It is as if we are watching the show, if the show had not happened. No wonder Vincent is confused! He is desperate to get back to the reality he knows, realizing that his earlier wish was folly; it all begins and will end with Cat. He sets out to right the wrongs of this alternate reality, starting with introducing himself to Catherine, on their rooftop. Turns out that Cat remembers that a creature saved her on the night her mother was killed and her life has been stuck in that moment ever since. A jealous Evan collaborates with Muirfield, much as he did in the other timeline, and gets Cat kidnapped to set a trap for Vincent. In order to save Catherine, as Vincent declares he always will, the team has to come together. JT has to meet Tess, bond over helping their friends and give her gummy worms to make her laugh. JT has to discover that he can do amazing things with computers and Tess has to learn that her life can be so much better. Catherine has to uncover the secrets about her past and Vincent has to realize that no reality will ever be perfect and worry free. He is a beast after all. Vincent ends up with a bullet in his gut in this reality as well, courtesy of Cat’s dad Agent Reynolds; alive and well in this timeline. In a poignant full circle moment, it is Evan who sacrifices himself in order for Cat and Vincent to escape from Muirfield’s clutches. 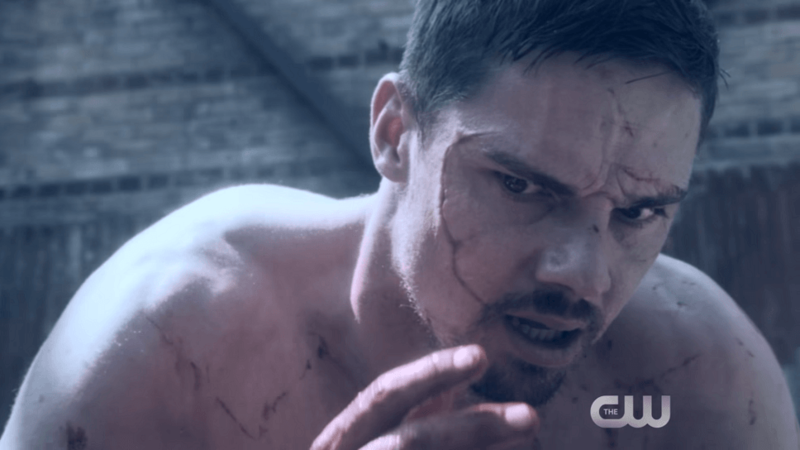 Much like the end to his arc in season one, it is his redemption that allows Vincent and Cat to come together. Vincent is on the edge of consciousness in this timeline as well, ready to give up once and for all. But it is Cat’s voice, as always, that brings him back where he belongs; at her side, as her husband, surrounded by his friends. The team needs to regroup, to be sure. There are now two unknown baddies after them, Vincent needs time to properly heal and they are still at constant risk of exposure. At least Vincent has learned one thing; not only did Catherine save him from his beast self all these years; he also saved Catherine. And not just literally, all those years ago. He also set her free from the secrets of her family and her past. 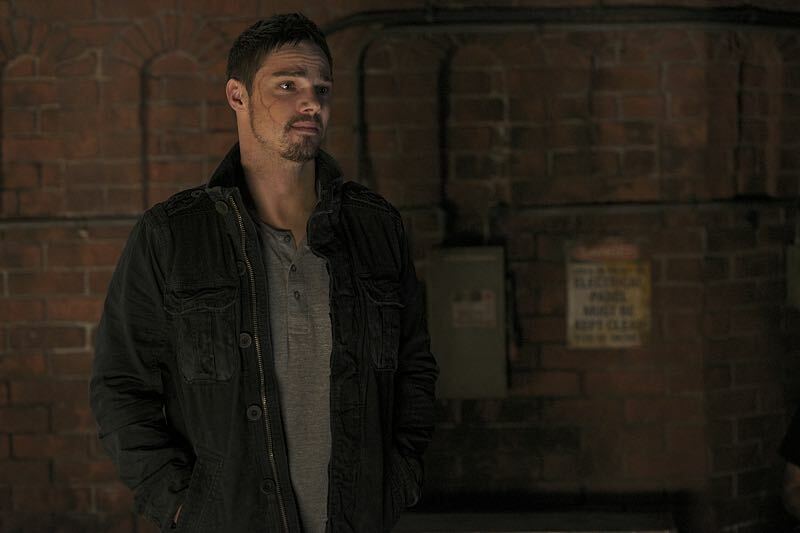 At this point, I have to mention how spectacular Jay Ryan’s performance was in this episode; carrying the full emotional weight of both realities. 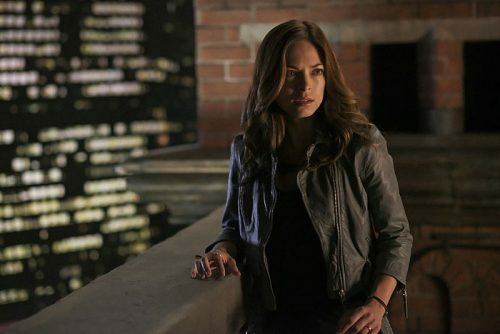 And of course, a shout out is warranted to Kristin Kreuk, Austin Basis and Nina Lisandrello, who had to act as if the last three seasons never happened; proving once again how stellar this cast really is. This season has been a wonderful journey through the different arcs of the show so far and I can’t wait to see where it will all lead to in the end. All I know is that I am on board. How about you, Beasties? Give me your thoughts below, or as always, on Twitter. Thanks for reading and commenting. This season especially is giving the actors a chance to showcase their talents, I feel. Too bad it is the last one!